Clothing, especially on mannequins, can give a sense of a person’s physical presence. It helps make even the most distant historical figure feel closer. Clothing and accessories illustrate the personal style of a first lady or the official style of a presidential administration. And they can represent the events to which they were worn—from inaugural balls, state dinners, and public appearances to everyday life in the White House. Martha Washington wore this silk taffeta gown in the early 1780s. The silk is painted with a design of flowers, butterflies, and other insects. The collar and cuffs are reproductions. Sarah Polk first wore this light-blue brocaded silk dress woven with a design of poinsettias in the late 1840s. 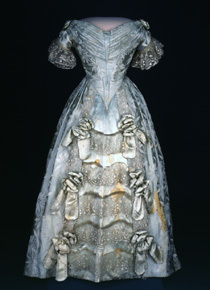 It was remade as an evening gown, probably for her niece, in the 1880s. 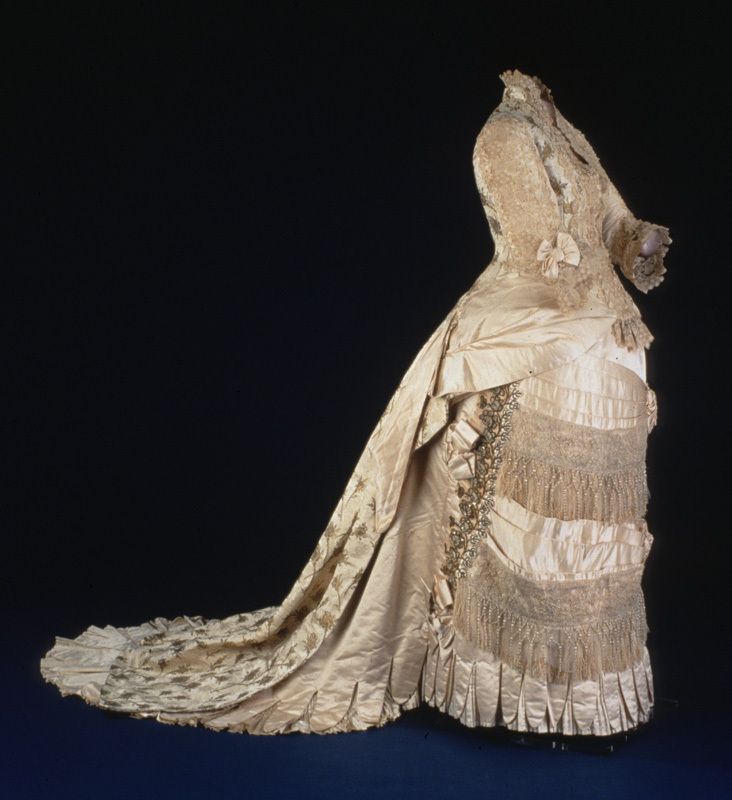 Lucy Hayes wore this gold damask and cream satin gown to the White House New Year’s reception in 1880. 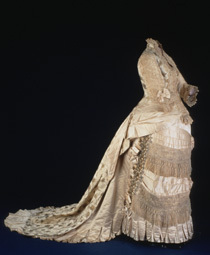 It was made by Mrs. M. A. Connelly, a New York dressmaker. 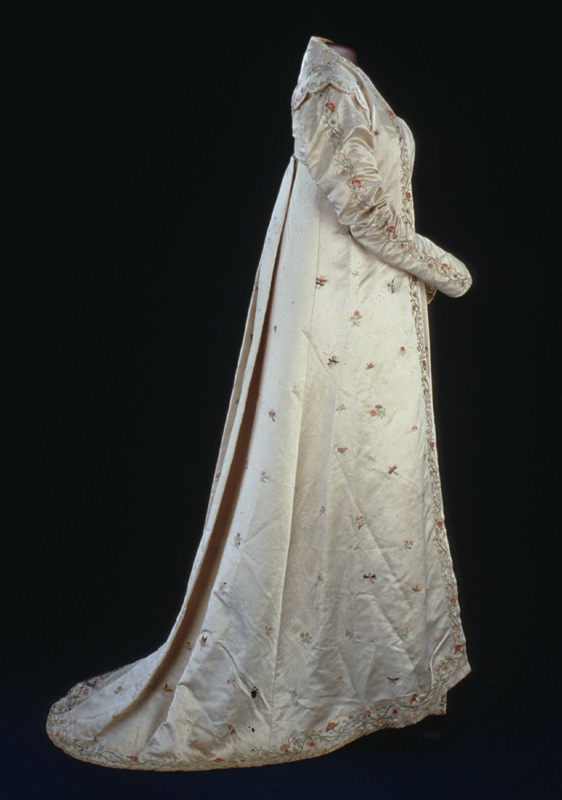 Dolley Madison’s silk satin open robe is hand-embroidered with flowers, butterflies, dragonflies, and phoenixes. 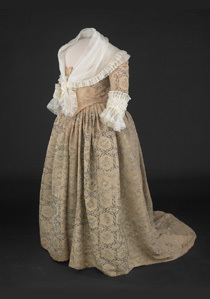 It is typical of the style of the late 1810s. 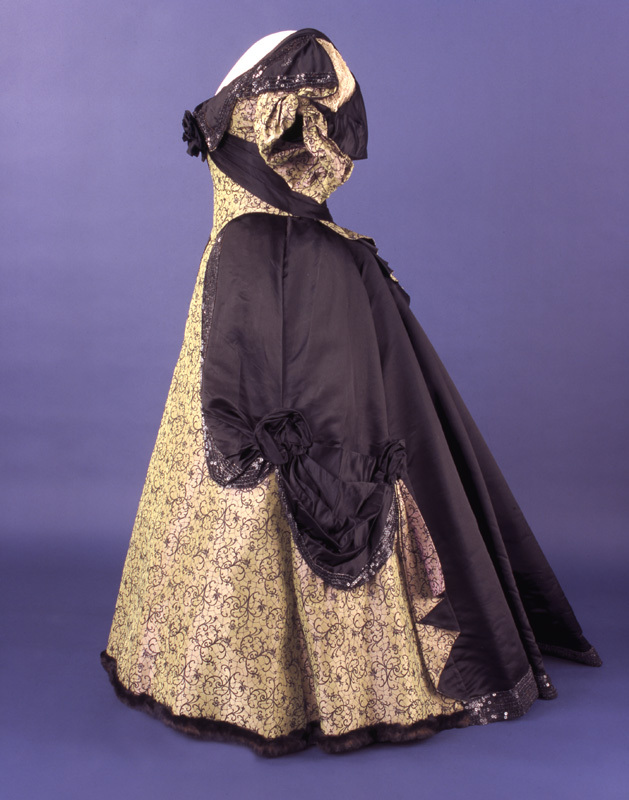 Mary Lincoln wore this silk taffeta two-piece dress in 1861, with an evening bodice as the top piece. 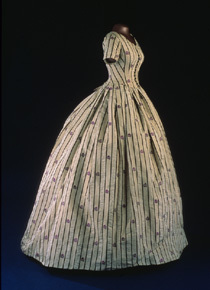 The pattern of black stripes and purple flowers is woven into the silk. 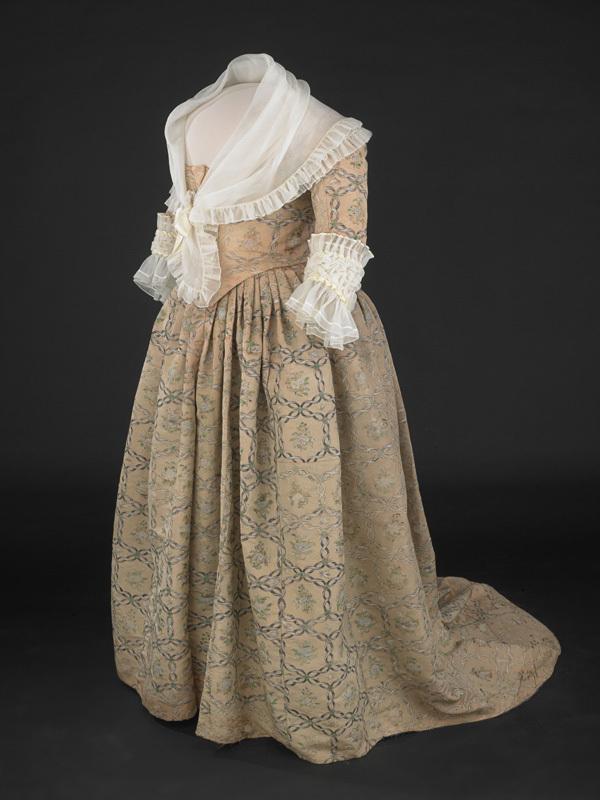 Later in the 19th century, the original evening bodice was replaced with this daytime bodice made of fabric taken from the skirt. 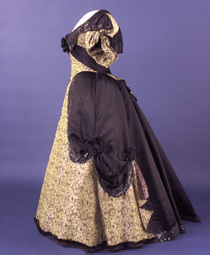 Frances Cleveland wore this silk evening gown with fur-edged hem and black-satin-and-jet trim during her husband’s second administration. It was made by Baltimore dressmaker Lottie Barton.